Accreditation with DNV GL requires a structured, systematic approach to auditing and mitigation. Enter ComplyAssistant’s compliance software. For organizations that want to apply for and receive DNV GL accreditation, a standardized approach to security and compliance based on DNV standards is key. Complementary to security frameworks like HIPAA, HITRUST and NIST, DNV standards are designed to improve clinical and financial outcomes. DNV GL’s accreditation program – called NIAHO® – integrates requirements from CMS Conditions of Participation and the ISO 9001 Standard. While DNV GL accreditation is not mandatory, organizations should consider it as part of a comprehensive security and compliance strategy, combined with other frameworks. 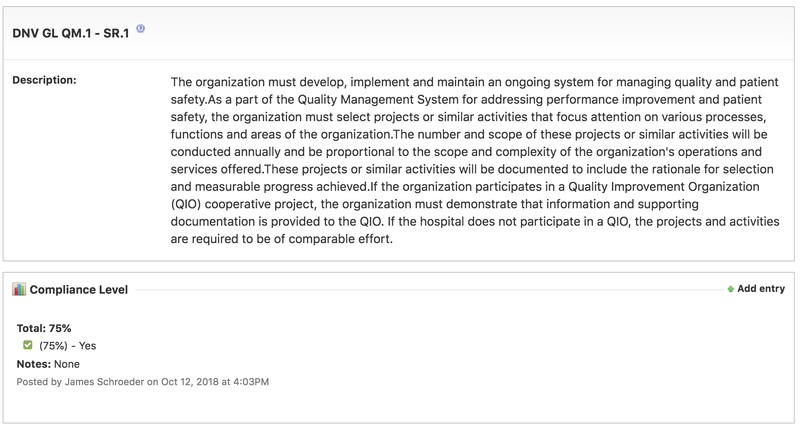 A standardized, structured healthcare compliance software solution can help you manage DNV standards compliance, right alongside your other frameworks. ComplyAssistant offers that and more with a holistic approach to security and compliance management. ComplyAssistant has a unique partnership with DNV GL, which allows our software to be your central repository for DNV standards and accreditation materials. Imagine managing your DNV standards processes, plans, evidence documents, audit results, risk ratings and more in one location – right alongside the same materials for any other security framework you use. That’s a one-stop shop. In addition, ComplyAssistant enables you to perform DNV standards audits via our proprietary mobile application, making it faster and more efficient to gather and report on your assessments. Create and manage assessments, based on DNV standards, directly in our software. 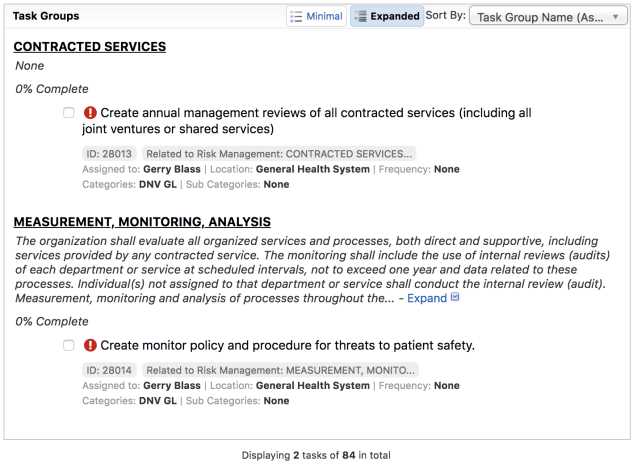 You can perform audits, gather data and risk rate on areas across your entire organization. Our software will indicate areas of high, medium and low risk based on your DNV audits and assessments. 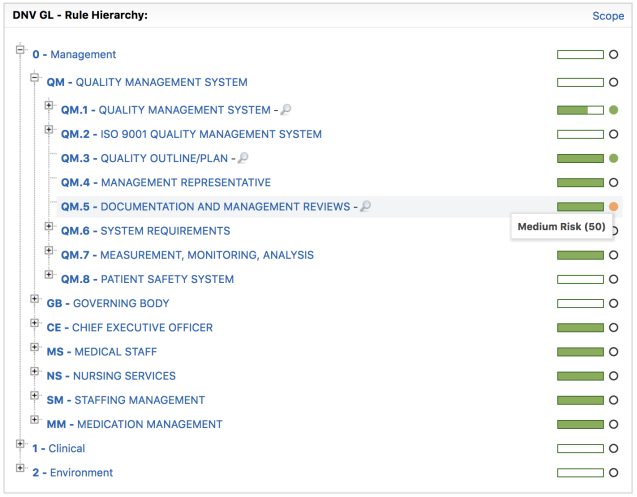 By starting with your areas of highest risk, you can easily manage this process in our healthcare compliance software. If your organization seeks DNV GL accreditation, you must have complete and organized documentation and evidence. Store and manage DNV standards documentation right in our solution. And, having it in one place means you know exactly where to find it. No more searching through binders, emails or shared drives. After performing DNV standards audits, identify action items and assign tasks in ComplyAssistant for appropriate and timely risk mitigation. Keep your DNV standards program on track with our dashboard summary. Your customized report will identify gaps in process and task completion. Ready to see how ComplyAssistant can help you manage DNV standards? Are you performing audits with pen and paper? Read our blog for 5 reasons to take your healthcare compliance audits mobile.